Esther Borer is the recipient of the first Injury Free Program Coordinator Service Award, recognizing an exceptional individual who makes community service a way of life, one who exemplifies a sense of caring and responsibility for others that connects citizens and solves community problems. Program Coordinators must serve for at least five years to be eligible for the award. 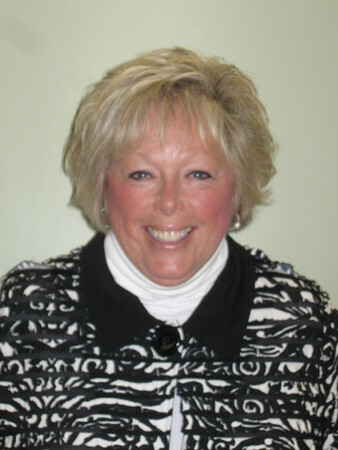 Ms. Borer has served in the position of Program Coordinator for Injury Free Worcester seven years. When she began, she worked with a Pediatric Injury Prevention Educator, a community health worker, and an administrative assistant who ran the child passenger safety system for Central Massachusetts. Esther absorbed the roles of all 4 positions in the wake budget cuts during the financial crisis of 2008-09. Despite the changes she seamlessly performed all of the functions she had to take on. She did so unflinchingly, uncomplainingly, and with excellent outcomes. As the director of the Child Passenger Safety Program she established a program servicing about 180 infants and their families every year. More importantly, the city’s nurseries, family and pediatric practices can all directly refer patients to the program as can several social service agencies for immigrants and refugees. In addition to the safe travel of infants, Ms. Borer has worked to establish a strong Teen Driving Program. She runs two facets of the Teen Driving Education Program, one where the Worcester Juvenile Court Network assigns first time driving offenders to spend time with the Coalition and with the other she manages a Teen Driving Simulator Vehicle that travels to high schools throughout Central Massachusetts to teach about risky driving behaviors. The Teen Ride Program services approximately 100-120 first time driving offenders and their families and The Teen Drive program services 20- 30,000 high students a year. One of her largest successes has been the development of Injury Free Worcester’s gun buyback program. The program started as an annual event in Worcester and is now a bi-annual event. Last year it was featured in 11 retrieval sites that served 18 communities. This year it is slated to expand to three additional townships and to cities in Connecticut, Rhode Island, as well as Western and Eastern Massachusetts. In addition to collected guns she is spearheading an effort for a Guns-to-Art Program with Clark University to see if we can make art objects out of the guns that are returned. In addition to her program development Esther has contributed to efforts to establish policy. She sat at the table and assisted with the development of the Community Health Improvement Plan between 2012-2016. In an effort to help establish a primary seat belt law, Ms. Borer has built a new project in the medical school. She has helped to establish a population health elective designed to see if better Central Massachusetts Data can energize the next legislative session. The committee accomplished 85 percent of its stated goals among which was the development of a comprehensive Injury Prevention program. Since 2013 she has also represented Injury Free Worcester and the University of Massachusetts on a Commonwealth collaborative effort called the Injury and Violence Prevention Task Force. Beyond the aforementioned tasks, Esther has been a stalwart advocate for kids safety and she is counted on as the go to person when there are questions about how to engage the community or launch new programs.